Betty Shamieh is a playwright, author, screenwriter, and actress. She is the author of fifteen plays. As a playwright, her off-Broadway premieres are The Black Eyed (New York Theatre Workshop) and Roar (The New Group), which was selected as a New York Times Critics Pick and is currently being taught at universities throughout the United States. A graduate of Harvard College and the Yale School of Drama, she was a recipient of a National Endowment for the Arts grant and selected as a Clifton Visiting Artist at Harvard in 2004. She was named as a Playwriting Fellow at Harvard University's Radcliffe Institute for Advanced Studies in 2006 and is currently serving on the playwriting advisory board for the New York Foundation for the Arts. Shamieh recently completed her first novel and is a resident artist at HERE Arts Center. Q: Your career to date has been outstanding. You've had plays appear off Broadway and in Europe, are writing your first novel, and worked in various academic positions and have achieved numerous awards, which earlier this year were topped up with you being one of only 20 young artists recognised by UNESCO for promoting intercultural dialogue between Arab and Western countries. Which one has given you the most exciting feeling so far? Thank you for your kind words. I get the most satisfaction as an artist from the feeling that I am evolving, which is why I write in many different forms. I am currently developing a new solo show, The Alter-Ego of An Arab-American Assimilationist. My New York debut was Chocolate in Heat, in which I performed. For me, nothing compares to the joy and challenge of performing in my own work, particularly comedic work. I believe the field of solo performance has its roots in the ancient oral tradition of storytelling. Perhaps solo performance is gaining wider recognition worldwide, most notably in the case of the Nobel Prize being awarded to the monologist Dario Fo, because audiences today are looking to live performance as a counter the isolation of our modern world. As a solo performer in theatre or stand-up comedy, one is incredibly vulnerable in a way that I find exciting. It is interesting that you bring up the subject of awards. Awards are only important if they make artists feel encouraged to grow and challenge themselves further. However, every artist must develop their inner resources to constantly strive to challenge one's self, even without such recognition. Q: Now looking back, can you remember the moment you wanted to become a playwright? I knew that I wanted to be a writer since middle school and began acting in high school. For me, playwriting seemed like a natural choice to begin my career as a writer. I knew I intended to eventually write novels as well. But, the idea of committing as a teenager to the isolation of writing fiction or poetry seemed daunting. 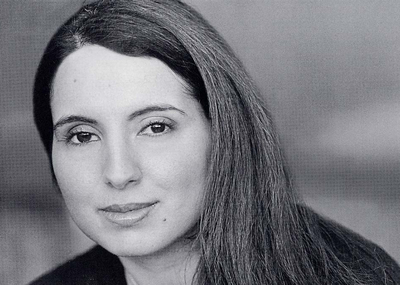 Playwriting allowed me the opportunity to express myself, but also collaborate with others. Q: Where did you tend to do your most creative thinking? I tend to be inspired to create art when I am being exposed to art. I make it a point to expand my knowledge, particularly to become familiar with the art and literature of various cultures. I recommend to my students who feel blocked that they browse the shelves of libraries. There is something wonderful about being exposed to books in a random way that I think is important. By searching on the internet, you are limiting how you receive information. In a library, it is much easier to become exposed to subjects that you didn't even know existed, which is always ripe with the potential for inspiration. Q: In much of your work, the inherent link between your Palestinian-American identity and your expressions as an artist comes across in versatile ways. When a good story happened to fall into your lap, how were you obliged to make something out of its particulars and turn it into a play? I think a writer trains their mind to always be looking for stories. But, it is hard to describe how and why I decide to invest a major portion of my life making one story come to life as opposed to another. It's a sort of chemistry, not unlike how we inexplicably choose to befriend and invest a great deal of our time in certain people as opposed to others. When I fall in love with an idea for a story, I am someone who writes that tale in several different forms. Q: Is there something you would like to include in your work, that you haven't managed to find a place for? I would have to say no. That is partially because I think that writers have the luxury of being able to utilize and - if necessary - create different forms that they need to express their different ideas. Many use more than one form. For example, there are very few well-known living playwrights or novelists who haven't utilized the form of an essay to compose a commencement speech or a letter to an editor. But, basically, they are writing literary essays. Blogging is also an interesting option for expressing one's ideas, though it isn't one I have explored fully yet. However, I recently realized, particularly since I began my novel, how precious time can be. The novel is the longest thing I've ever written and took me several years to complete. In terms of word count only, my novel is the equivalent of writing four of my full-length plays. It took a lot of discipline to say no to smaller and very interesting writing projects while I was working on it. I knew I wouldn't manage to write it without a more sustained form of disciplining myself than I needed to write plays. So, I would say that lack of time is the biggest factor in determining what I cannot express. But, I also feel time limits make a writer really prioritize what is essential that they do express. Q: During your speech at an American Task Force on Palestine Annual Gala last year, you spoke about the relative success you had achieved in spite of the constant messages of defeatism that were rife in your community. What were the common denominators in these messages and how did you manage to shun them out? The main goal for many immigrants is to assimilate into their new culture. The reason for that is the belief that a person cannot succeed if he or she clearly identifies him or herself as different, a belief that is rooted in fear. Because there are so few people of Arab descent working in the arts in America, there was - in our community - a perception that we are being excluded. I do believe racism exists, but I also believe one can choose to see it as a challenge that can be overcome. The role we play in our own marginalization is what I tend to emphasize when speaking to Arab and Arab-American audiences, because I believe it is the only aspect of our experience that we can influence or control. Writers try to create texts that hopefully will be able to be understood in other cultural contexts, and it's not an easy goal to achieve. Being connected to two cultures, particularly two cultures that are sometimes at war, gives one insight into what is common about all human beings. Q: Which living playwright do you most admire and why? The playwright Tony Kushner is a someone whose work and life I admire a great deal. Angels in America is a very important play to me. Because Angels in America defies characterization, it is the kind of work that negates any fallacious attempt to split playwrights into the separate categories of those who entertain and those who write about ideas. Angels in America encompasses elements of a love betrayed, an appearance by a supernatural being, bawdiness, gorgeous poetic language and challenging complex political ideas within its scope. Yet, it never fails to be the one thing a play must never fail to be. Entertaining. By entertaining, I mean that it does not allow you to entertain any thoughts of your own personal drama as you completely enter its electrifying world. That is the kind of theatre that I like to see and aspire to make. Q: What is the most important piece of advice you could offer young playwrights who take their inspiration from you? The key to longevity as an artist is to believe your best work is yet to come. Try not to see your art as a key to money, fame, or attention - there are ways to get all of those things faster and easier than writing plays. Instead, try as much as possible to enjoy the process of creating for its own sake. Know that not every play of yours necessarily deserves a wide audience. Even the best playwrights create work that varies in quality. But, what is important is to learn from each project you undertake, which is easier to do if you spend more time dreaming about your next project than worrying about how to mount, publicize, or promote your last one. Those are all important and essential things to do, but they cannot be your main focus. Q: In addition to all the tremendous contributions you've made to your many fields, perhaps you can tell us what the future holds for Betty Shamieh? Where are we likely to see you in five years from now? The next play I write is going to be about Malvolio, a character in Shakespeare's Twelfth Night that vows to avenge the wrongs against him, and I'm sure Permission isn't going to be my last novel. In 2009, I was an artist-in-residence at a regional theatre in Holland. I am planning to develop and host a talk show about intellectuals and their experience of pop culture, which is partially inspired by some of the shows I was exposed to abroad. I haven't had a Canadian debut of any of my plays yet so I, of course, hope that will happen soon.